Let us do the layering for you with this chic cross duo! 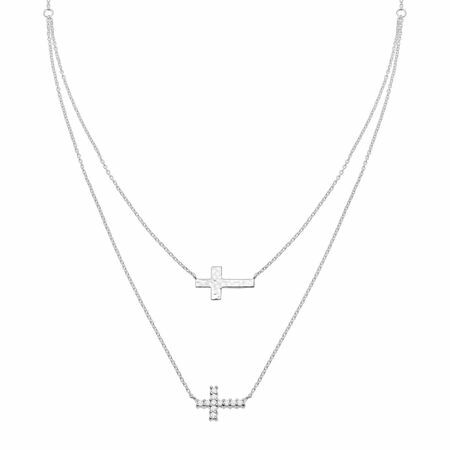 A hammered sterling silver cross sits above another cross adorned with shining white cubic zirconia. Necklace measures 16 inches in length and features a lobster clasp. Piece comes with a “.925” sterling silver stamp as a symbol of guaranteed product quality.